The Battlefield Fire District is proud to be part of the Tri-State Fire Recruitment Alliance. The Tri-State Fire Recruitment Alliance is a consortium developed to allow Fire Service agencies in Missouri, Kansas, and Oklahoma to jointly provide pre-hire testing for firefighter candidates. 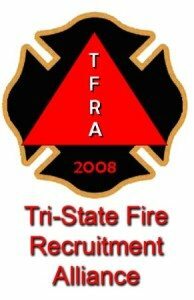 Visit the Tri-State Fire Recruitment Alliance web page to get up to date information. Test dates and times can be found on their website. The Alliance will be conducting a pre-employment written & physical ability test (PAT) to establish a hiring pool for future hiring’s for a 12 month period. Test Prerequisites: Applicants must have a High School diploma or GED, be at least 18 years old, legally entitled to work in the U.S. and have a valid driver’s license. Hiring Prerequisites: Battlefield requires Firefighter II and EMT-B for consideration of hiring. Proof of passing the Tri-State Fire Recruitment Alliance must be presented with an application, applicable certifications and any other paperwork upon submittal of application to be considered.